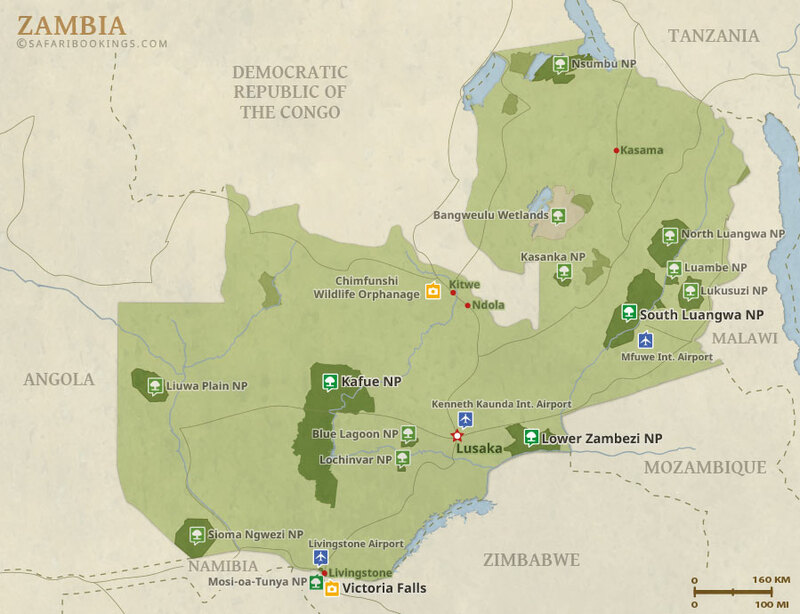 Zambia Travel Guide – Parks, Best Time, Reviews & More! 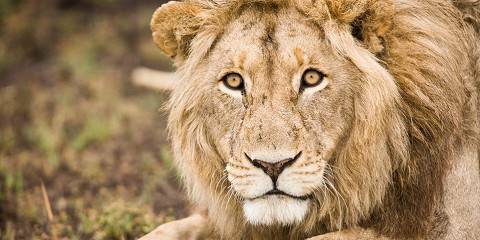 A safari in Zambia is not about checking off the Big Five. High-quality guides will share their knowledge on game drives, night drives and walking safaris. A canoeing safari on the Zambezi is not to be missed by the more adventurous. 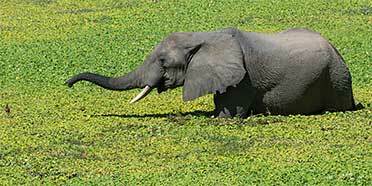 Across Zambia, you’ll find lots of safari favorites such as the elephant, zebra, hippo and buffalo. Lions and leopards also keep a fairly high profile here. That said, it’ll be a challenge to find any rhino, either white or black, which are confined to a handful of parks. Similarly, cheetah and wild dogs aren’t easy to find. In marsh-dominated regions, keep your eyes peeled for the lechwe, a wetland antelope. During the country’s Wet season (November to April), the rain can pelt down, bringing most outdoor activities to a standstill. Stifling humidity is also an issue at this time of year. In the Dry season (May to October), temperatures remain warm, building to hot just before the season changes. From June, mornings can get quite chilly and you’ll need to wrap yourself up in plenty of thick clothing to ward off the cold. The rainfall that can pour down during the Wet season (November to April) has a habit of cutting off road access, which makes getting around difficult. 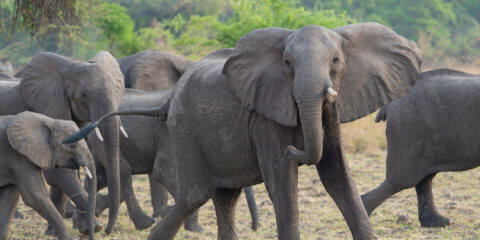 For this reason, and because of the generally soaked conditions, many of the country’s parks close – though a notable exception is South Luangwa. 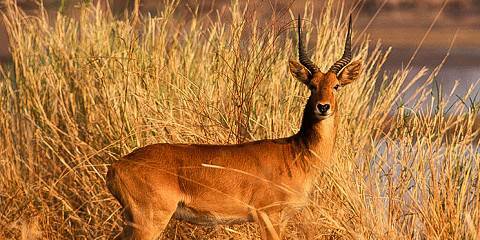 Wildlife watching is more pleasant in the Dry season (May to October), when there’s hardly any rain to be seen, and animals are easily found at local rivers and waterholes.